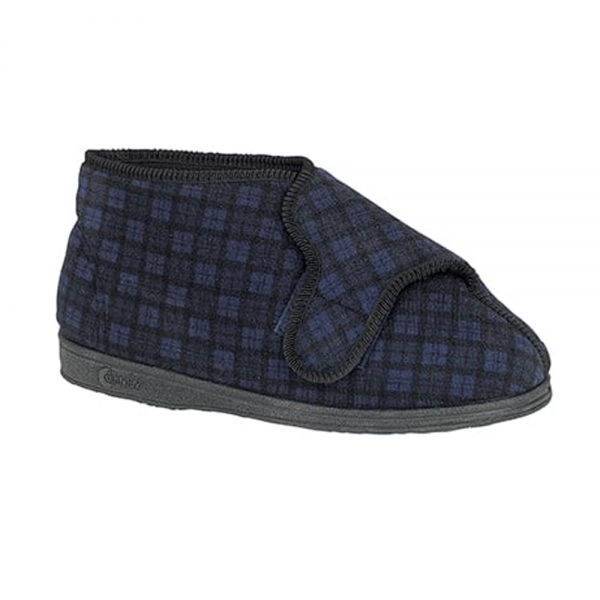 Treat yourself to luxury with the men's Gerry slippers by Comfylux. In a boot slipper style, the soft textile lining surrounds your feet providing limitless warmth and comfort all year round. With an adjustable touch velcro fastening strap, you can find your ideal fit whether it be loose or more snug and heighten your experience of comfort. Feel free to go out into the garden as the vulcanised rubber sole makes these slippers ideal for light outdoor use. The checked design on the upper provides a traditional and stylish look for these slippers making them the ultimate slippers for any man to enjoy after a long hard days work.